On April 22, as was already customary in the era of King Salman and his son, Prince Mohammed, a series of royal decrees were unexpectedly adopted and immediately published. The essence of these decrees is twofold: on the one hand, the level of salaries and bonuses for state employees will be restored, after having been canceled in September 2016, and they, respectively, will be increased by twenty percent. In addition, two salaries are paid at once to servicemen fighting in Yemen. On the other hand, a number of resignations and new appointments have been announced, which can also be divided into two parts – the appointment of new ministers and new governors.Rather significant figures have been dismissed from the group of appointees of Mohammed bin Salman himself, such as the Minister of Information and Culture, and technocrats, mostly not from the royal family, are listed in their place; whereas the posts of provincial governors and their deputies everywhere are taken up primarily by young princes of royal blood. The most notable appointment is the new ambassador to the United States – another son of King Khaled bin Salman. Yet another son, Abdelaziz bin Salman, changed from the Deputy Minister of Oil and Mineral Resources to State Minister for Energy (the post is more honorary than influential). Behind all these decisions is the iron logic of power. If we speak about raising salaries and paying benefits, then the emergence of this decree is dictated by the need to calm the maturing opposition in the Saudi society and the frustration that is flaring up in social media. 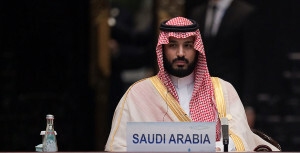 They accuse the young prince, who is responsible for the economic, defense and foreign policy of the country, of living wastefully against the backdrop of the misfortunes of the Saudi population (although those are quite relative compared with other countries), which has begun to live significantly worse, given the fall in oil prices and measures to reduce the budget deficit, which amounted to a record $75 billion in 2016. 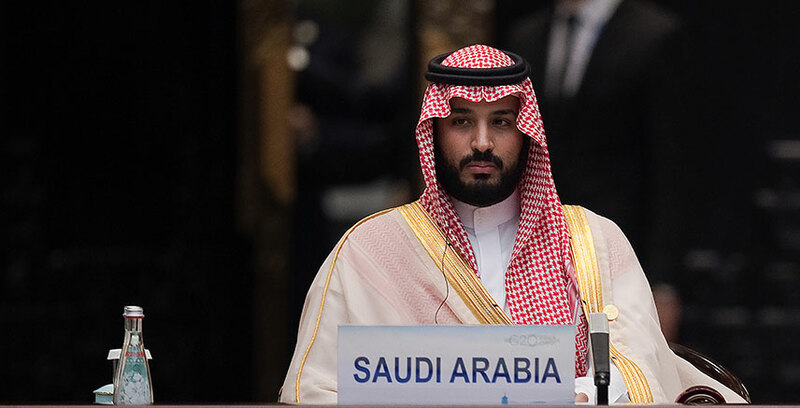 Muhammad bin Salman is also accused of inept, ill-conceived reforms that do not produce proper results, and of delaying the costly military campaign in Yemen, which has not yet yielded any results. In this context, the increase in salaries and the payment of bonuses were absolutely necessary to strengthen the young prince’s shaky positions. The royal finances now provide some opportunities for this because of the stabilization of oil prices at $52-55 per barrel, although they are not enough to solve the problems of a budget deficit – for this the price for oil would need to soar to $78 per barrel, which so far looks unrealistic. With regard to appointments, if you do not take into account the technical appointment of ministers, all other posts have been given to princes of royal blood. The appointment of another one of King Salman’s sons – Khaled – as ambassador to Washington should be considered crucial. Sending this experienced pilot of the Royal Air Force to the US capital (he had already worked there before in the embassy) is another step taken by the king to strengthen his family’s position in the top-down governance and personal success of Muhammad bin Salman in confronting his cousin and Crown Prince Mohammed bin Nayef. 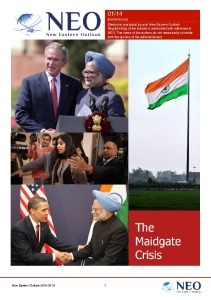 The Minister of Internal Affairs’ trump card has always been a special relationship with Washington, which in December 2014 “approved” him as the most acceptable candidate for the United States for the post of future king. Now the benefit of privileged ties with the White House is being adopted by Salman himself, controlling them through his two sons. Moreover, Muhammad bin Salman has already managed to visit Washington this year (March 13-15) and, in the framework of his program of diversifying the Saudi economy, ‘Vision 2030’, is offering contracts to American companies, according to knowledgeable people, in the shape of a fantastical $3 trillion (!!!). And this in addition to the previously negotiated defense contracts totaling $200 billion – the largest in the history of mankind. As for the appointment of young princes of royal blood as governors and deputy governors of several provinces, the desire of the king to strengthen his power is also evident here. In the royal family, too, the opposition had been growing for a long time, fueled by Mohammed bin Nayef, because of too much of a concentration of power in the hands of Mohammed bin Salman. Now this “skewedness” seems to have been eliminated. The governors are appointed princes from different royal clans (children and grandchildren of the kings of Saud, Khaled and Faisal), which maintains a semblance of balance in the royal family. However, it is clear that this concession to the princes’ ambitions is only intended to muffle their discontent with the immense power of Mohammed bin Salman, and as a way to not give them some key powers. The governors, of course, play an important but subordinate role in the system of power of the kingdom. The main decisions are taken by the Cabinet, which is completely controlled by Mohammed bin Salman, and made up of his own planted protégées. At the same time, it is clear that, although the changes that have taken place should be regarded as another victory of Muhammad bin Salman in the struggle for power, it cannot be considered complete and final. Much depends on how long King Salman will live and whether he, together with his sons, will be able to strengthen the position of the informal leader of their clan, Muhammad bin Salman, so that after the death of his father, if he is not already king, he becomes crown prince. Behind Muhammad bin Nayef, apart from the post of Crown Prince, there is a powerful force in the person of the Minister of Internal Affairs, whose weight only grows in the face of increased terrorist threats from “Islamic State”, which has created a network of cells throughout the country and periodically makes itself felt with so far small, but fairly regular terrorist attacks. Another factor of his strength is the tribes that always stood on his father’s side, and now support Mohammed bin Nayef himself. 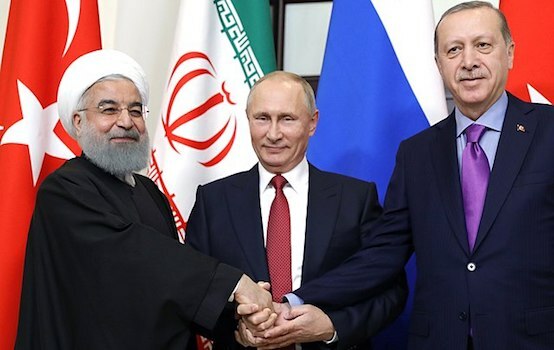 The third force is the clerics, who are terrified of Mohammed bin Salman’s secularly oriented reforms, but are still silent so as not to undermine the power of the king. They are especially concerned about the program for creating “small entertainment towns” which will be reminiscent of Disneyland and Las Vegas in one, only without the alcohol. They have repeatedly criticized the head of the Entertainment Department, Ahmad Khatib, who is close to Muhammad bin Salman, for trying to open cinemas, theaters and propagandizing secular art exhibitions and museums. But if they feel that the sphere of entertainment is oriented, according to A. Khatib, towards “people’s happiness” and takes the faithful out of the mosques, they can organize protests with the support of the tribes that will hurt the image of the king and the Kingdom.